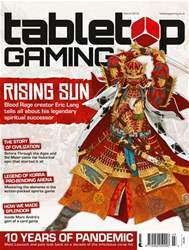 As more people than ever take up tabletop gaming, the way we play is evolving. How can we escape it all and get away with a jolly hobby holiday? Dungeons & Dragons’ cameos in Stranger flings and Community piqued the interest of another generation in after-school roleplaying. Pandemic Legacy demands gamers pencil in upwards of a dozen sessions into their diary. But what is on offer for those gamers for whom weekly club play either isn’t practical or appealing? As the popularity of gaming spreads beyond traditional fan groups, so the traditional ways in which we play are changing.